On behalf of the Standing Committee, I extend to you a most cordial welcome to this 13th meeting of the Conference of the Parties. It is most fitting that we convene this meeting here in this magnificent facility, and most importantly, in this biologically and culturally diverse region of the world. 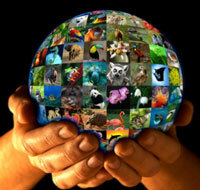 It has been nearly a generation since CITES brought its attention to resource conservation issues in Asia. That was at its third meeting of the Conference of the Parties hosted by India in New Delhi in 1981. At that time 61 Parties had acceded to the Convention, including 10 Asian regional representatives. That meeting served as a catalyst for a number of regional members to join CITES, including our gracious host for this 13th meeting. Thailand became the Convention's 78th contracting Party in April 1983. In the intervening years, CITES has grown to encompass 166 nations, including a total of 32 contracting Parties in the Asia region, with the Lao People's Democratic Republic coming into force just a few months ago. The timing of this meeting here in Thailand shows the critical importance of this region not only to the world's biodiversity, but also to the importance of this Convention in helping sustain that diversity. From the depths of the oceans to the highest mountain ranges throughout this vast landscape, species are affected by international trade, and of particular concern to the Parties assembled here today. These species include thousands of orchids and cycads, lesser know but equally important mammals and birds such as pangolins and Blyth's parakeets, and many of the world's most charismatic species - tigers, Asian elephants, pandas and orangutans. Over the next several days we will consider proposals for additional species including Asian freshwater turtles, Himalayan yew and ramin. I would like to congratulate the Thai Government for its excellent preparations for this meeting, recognizing the tremendous effort that goes into hosting a meeting of this size and complexity. Currently there are over 1500 registered delegates attending this meeting, representing 154 Parties and 165 national and international organizations. As CITES has matured, it has grown to an extent that the logistics and resultant costs to the host country deter many Parties, particularly developing nations, or those with economies in transition, from considering the task. We sincerely appreciate the effort that the Thai Government has brought to bear in support of the Convention. I addition, we would be remiss in not recognizing the efforts of the Secretary-General and the staff of the Secretariat in their significant work in preparation for meetings of the Conference of the Parties. The very essence of this Convention is its decisions on proposals, and for that process to work effectively, the Parties must have sufficient opportunity to analyse the supporting documentation before deciding on the merits of a proposal. The Secretariat has done an outstanding job of making proposals available on its website, and conducting its required analysis in a timely and informative manner. In accordance with the Convention, the Secretariat is responsible for convening the meeting, preparation and distribution of all of the documentation for the meeting, and providing the technical support to the host Government. The preparations alone are a yeoman's task, but their task is now just beginning, as the meeting begins. Each morning, as if seemingly by magic, we will arrive to find the previous days decisions, compiled, translated, copied and available to the delegates for further consideration. This magic is actually the hard and untiring work of the Secretariat, translators, interpreters, rapporteurs, technicians and support staff. I am confident that the day-to-day work of the meeting will be as efficient and professional as always. I specifically wanted to recognize this effort since much of their work is behind the scenes, in support of the Parties deliberations, and it is easy to overlook this apparently seamless but critical contribution to our successful deliberations. During the past four years, as Chairman of the Standing Committee I have had the privilege of working closely with the Secretary-General and his staff. I know first hand their hard work and dedication to the Convention and respect for the Parties as they help implement the decisions we will collectively make over the course of this and other meetings. The agenda for this 13th meeting is ambitious with some 50 species proposals and an even greater number of resolutions and other agenda items. In order to successfully carry on the work of the meeting, it is critical that the Chairman of the Conference, the Vice-Chairmen, and those of Committees I and II, and the Credentials Committee are well prepared and supported during the course of the meeting. As is its responsibility, the Standing Committee has nominated outstanding candidates for these offices, and looks forward to their election. We thank them in advance for accepting these nominations and acknowledging the challenges, responsibilities and hard work that go into adequate preparation for the meeting. One most important consideration during this meeting will be the final consideration of the review of the text and annexes of the Resolution concerning the inclusion, transfer and deletion of species in Appendices I and II. That resolution recalls that international trade in all wild fauna and flora is under the purview of the Convention, and thus it is critical to ensure the applicability of the criteria and guidelines to a broad array of taxa. You will recall that at the 12th meeting the results of this review, initiated following the 9th meeting were discussed, and the Parties agreed to a Decision outlining a process for its completion. During this intercessional, the Animals and Plants Committees work extensively in an open, transparent and broadly consultative process to complete its task. We owe a debt of gratitude to the Chairpersons of the Animals and Plants Committees for accepting this daunting challenge, and I am sure that you will join me in thanking them in advance for their work, and supporting final deliberations on this very important issue. At each of our meetings there are a number of important considerations for Committee I that reflect the current state of the Convention's influence. This meeting is no exception, and whales, elephants and timber species proposals will draw considerable attention in that Committee. However, we should not overlook the importance of a number of resolutions, decisions and agenda items that will be discussed in Committee II. Many of these proposals are designed to address important implementation issues in an effort to improve the effectiveness and efficiency of the Convention. One of the most important considerations in Committee II will be the discussion concerning the financing of the Convention and the Secretariat. Since the 10th meeting, there has been considerable effort to streamline the budget process and consider budget containment strategies to reflect a more efficient allocation of the modest resources available to the Convention. There has been a move to reflect the budget as it directly relates to the cornerstones of the Convention: scientific support, convention support, capacity building, and legislation and compliance. Regrettably, the demand for such support significantly outstrips the capacity of the Parties to directly fund these efforts through contributions to the Trust Fund. The discussions will centre on the inevitable cuts to these programmes. This leads to the need to redouble our collective efforts to help fulfill the goals of this Convention as outlined in its Strategic Vision Document. One of the primary goals of that plan is achieving adequate funding for implementation of the Convention. At this meeting we will a proposal to extend the current plan and consider revisions and updates to better address the needs of the Convention. If this Convention is to continue to provide the focus, leadership and day-to-day conservation of thousands of species affected by international trade, we must consider new opportunities to finance the Convention. Next July, this Convention will celebrate its 30th anniversary, as it entered into force after its 10th ratification in 1975. Not one species protected by CITES has become extinct as a result of trade since the Convention entered into force and for many years CITES has been among the largest conservation agreements in existence. That to me is an astonishing accomplishment. Our collective efforts during the course of this meeting will build on that remarkable record. On behalf of the Standing Committee, I wish you great success in your deliberations.